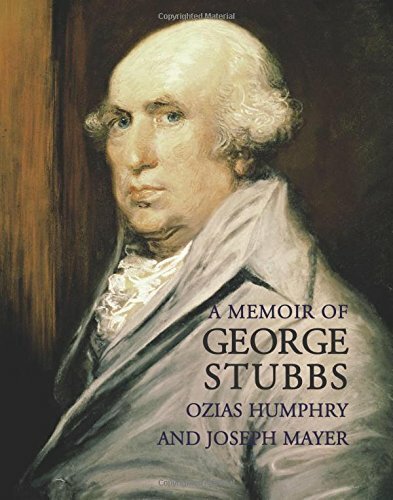 A unique account of the life and career of George Stubbs, based on extensive conversations with the artist. The only contemporary account of the life and work of George Stubbs, unavailable since it was privately printed over 125 years ago. George Stubbs (1724-1806) was one of the most original artists Britain has produced. Far from being merely a horse painter, Stubbs' perfectionism and passion transformed the possibilities of nature painting. His extraordinary dedication to accuracy caused him to spend eighteen solitary months dissecting and drawing horses to make his book, The "Anatomy of the Horse", a landmark in the study of anatomy and used by artists and scientists alike long after Stubbs' death. His portraits of horses as well as people combine an unflinchingly accurate gaze with profound psychological truth; yet he also created some of the most lyrical paintings of the age. Ozias Humphry was a colleague and friend of Stubbs and brought together recollections of many conversations with the painter in an as yet unpublished manuscript now in Liverpool. This manuscript was the basis for the present book, which was edited by the famous Liverpudlian patron and historian Joseph Mayer for private circulation in the 1870's.Although it is almost the only biographical source for Stubbs, it has never been reprinted. This edition is the first publication since 1876 of Ozias Humphry's "Memoir". It is introduced by one of the leading experts on the painter, Anthony Mould, who discusses Stubbs' career, his posthumous reputation, and the context and value of Humphrys' and Mayer's work. 42 pages of colour illustrations cover the span of Stubbs' output.